At KDG we seek out inspiring ways to breathe new life into all interior environments and evoke positive emotions that linger. We introduce a Lifestyle into the design by crafting environments that emplify the local flair, a sense of place that reflects the property yet holds its innate uniqueness of its location. KDG will provide services that best compliment your plans and project requirements. Collectively we will carry out all the details for you and collaborate with all team players in creating an impactful project. Mastermind Design and Branding Exploration – Collaborate on concepts and ask , “what does the space want to be” – Discover the goals of the project and how the design will present itself through the process. 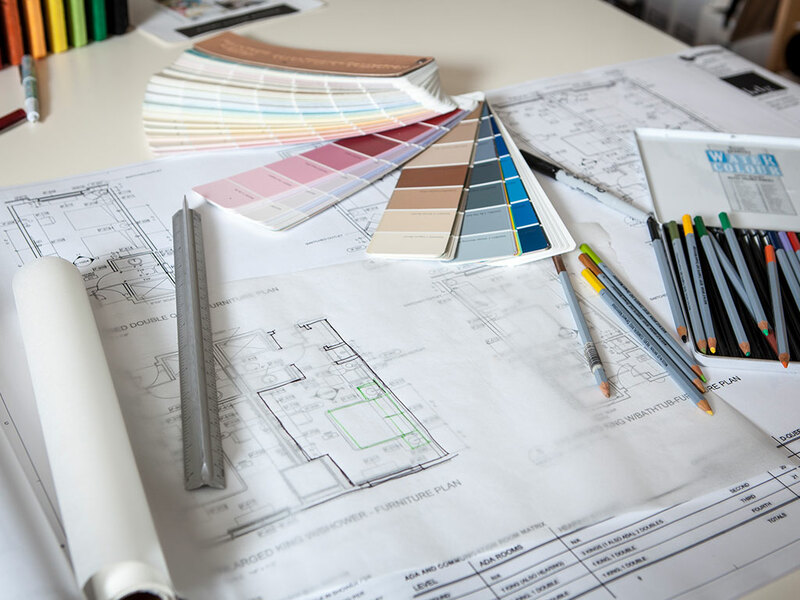 Interior Project Management – Reducing chaos with a manageable and timely process through the interior coordination of trades and activities with schedule and budget consciousness. Green Globe Certification – The sustainable certification for the lodging, tourism, and related industries. There are many programs available today that properties can choose from to ‘carry out’ their sustainable achievements and receive recognition for their certification. Green Globe is the cost effective alternative. As a premier international brand, they have certified over 1300 properties since 1992. The property is certified by a 3rd party auditor and follows 248 sustainable standards covering environmental, social responsibility, and conservation. We can offer you consulting and/or auditing services for your property to help you reach and exceed your sustainability goals and gain more market share and customer recognition. Sustainable Design – At KDG, we believe that sustainable design is simply a way of life. Within our office and throughout each project, we make every effort to offer our clients sustainable options that reduce the overall impact on the environment and, in the long run, save our clients money and time. By specifying and purchasing around sustainability and following industry guidelines set by organizations such as the USGBC, the Green Standard for Purchasing, Green Seal, and Green Globe International, we provide options for every size and type of project.